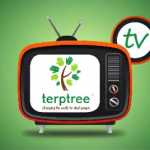 We at terptree (“terptree” or “we” or “us” or “our”) understand that privacy is important. Our policy has been created to assist you in understanding how we use any personal data via our website, our online booking system, through our online training courses and other related services. Data collectively all information that you submit to terptree ltd via the Website. This definition incorporates, where applicable, the definitions provided in the Data Protection Act 1998.
terptree ltd, we or us terptree ltd, a company incorporated in England and Wales with registered number 05941442 Whose registered office is at terptree ltd, 483 Green Lanes, London, N13 4BS. Website the website that you are currently using, www.terptree.co.uk, and any sub-domains of this site unless expressly excluded buy their own terms and conditions. Unless we are obliged or permitted by law to do so, and subject to any third-party disclosures specifically set out in this policy, your Data will not be disclosed to third parties. This our affiliates and/or other companies within our group. terptree ltd may, from time to time, employ the services of other parties for dealing with certain processes necessary for the operation of the Website. The providers of such services do not have access to certain personal Data provided by Users of this Website. Any working on our behalf subject to our Terms of Service. You have the right to ask for a copy of any of your personal Data help by terptree ltd (where such Data is held) which is free, therefore if more copies are required a small fee of £10 is required. Data security is of great importance to terptree ltd and to protect your Data we have put in place suitable physical, electronic and managerial procedures to safeguard and secure Data collected via this Website. Use of Testimonials – we may select and post testimonials on our Services, which may contain personal information such as your name, company or profession. We will obtain consent before posting any testimonial with your name. If you post such content to our site or social media, it will be available to other users of our Services. When you post, this may also become public and we cannot prevent such information from being used in a manner that may violate this Policy or the law. If you would like us to remove or delete your testimonial or name from our Services, you may contact terptree ltd using the information in the “how to contact us” section of this Policy. terptree retain paper-based and electronic files of financial data for 7 years as required by HRMC.